Grade 9-10. One Semester. Students will be involved in problem-solving investigations and other meaningful tasks that allow them to work in groups and/or autonomously to solve problems by developing realistic products. 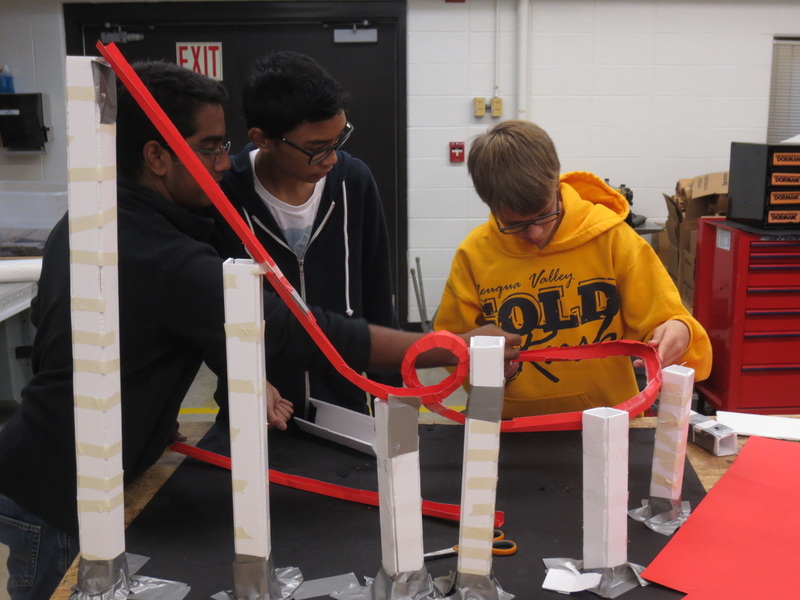 The Engineering Design Process drives the direction of the course and student learning. Students carry out the process through several projects that are grounded in a variety of engineering fields including manufacturing, architecture, electronics and hydraulic machinery. Along the way, students learn how to use fundamental engineering technology such as manufacturing equipment and computer modeling programs to design and build their projects. A lab fee will be charged.